RAZOR SHARP & COMPACT - 1-7/8" Drop Point 420HC Steel Blade delivers excellent strength, edge retention, and corrosion resistance. The full bellied blade is suitable for everyday tasks. Closed length 2-3/4" Weight 1.3 oz. CONTEMPORARY DESIGN - The slimline design makes this a great choice as a pocket knife for everyday carry. FOREVER WARRANTY - Since 1902 Buck Knives has offered a lifetime warranty on our knives because we believe in the integrity of our products. 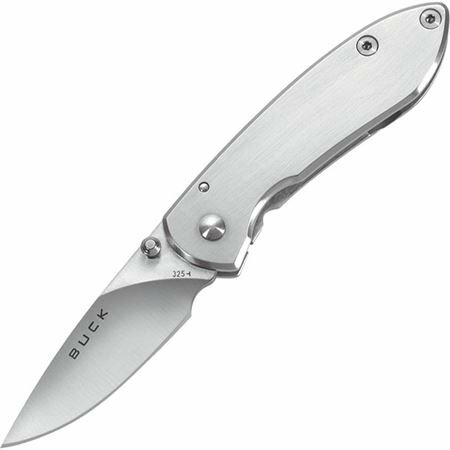 If you have any questions about this product by Buck Knives, contact us by completing and submitting the form below. If you are looking for a specif part number, please include it with your message.